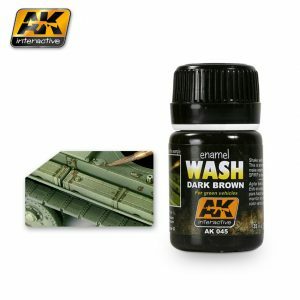 Enamel type product for modelling. 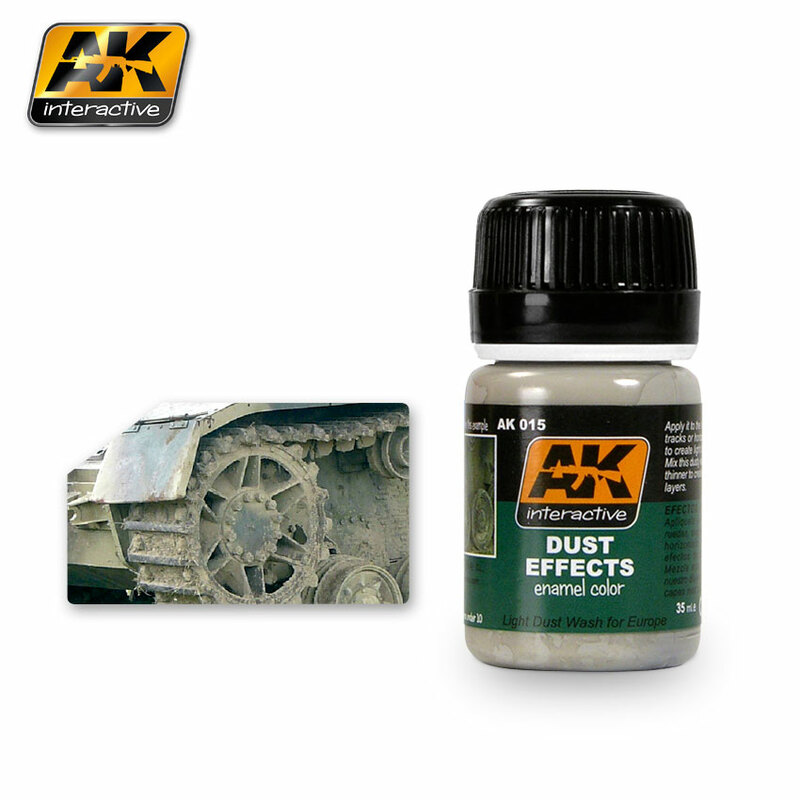 This is an enamel product to recreate natural dust effects. 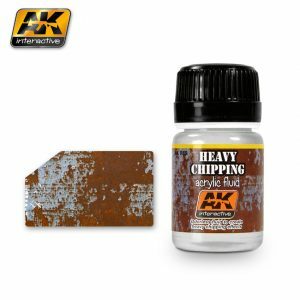 Simply apply it to your vehicle wheels, tracks and hull to achieve the most realistic effect possible. You can also mix this product with plaster if you want to give your dust volume. 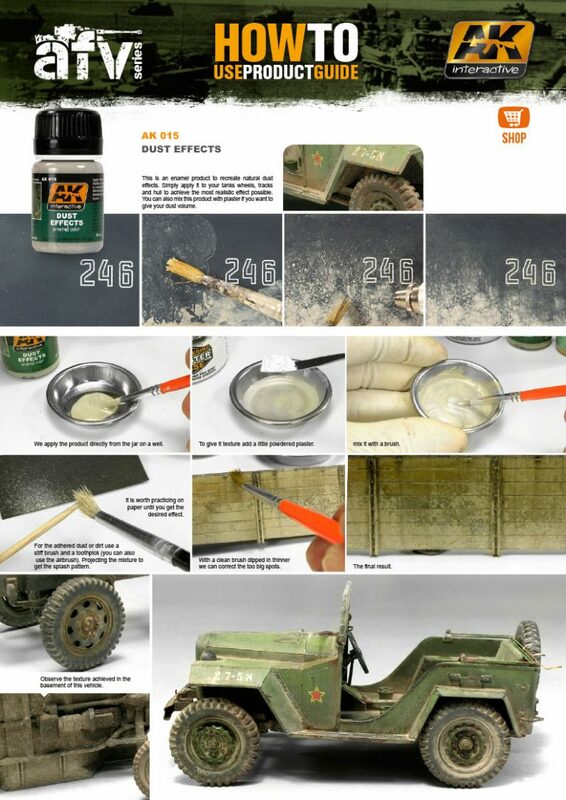 Shake well before use and use in parts desired of your model. 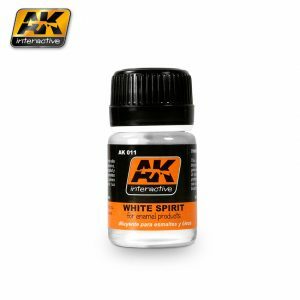 Afterwards, blend using a wide flat brush dampened with AK Interactive White Spirit.